Experience Your Favorite Top 40 Hits of Times Past in a Whole New Light with World Fusion Artists Island Storm: August 25th, Thursday @ 8:00 p.m.
Island Storm is one of Boston’s newest world music ensembles and they have cooked-up their own special versions of some of the most popular American hits of times past, complete with a distinctive ethnic flair. Talk about bridging the cultural gap, this is definitely a rather direct yet interesting approach. Imagine your favorite soul, R&B, funk, pop, and rock hits of yester year rearranged in various world beat styles, oftentimes but definitely not limited to, reggae. Artists featured in the band’s repertoire include the likes of The Beatles, The Stones, Bill Withers, Bonne Rait, James Brown, Joe Jackson, Paul Simon, Stevie Wonder, The Temptations, and more. There’s even few reggae originals thrown into the mix by Bob Marley, of course, and others. By the way, this band comes well prepared to keep the audience up and dancing all night long! Rho (lead vocals, guitar) – Also trained as a classical violinist, he brings many years of “island music” performance experience to the table and was formerly the lead with the local reggae band DreadRocks. He is also especially well versed in other genres including: psychedelic rock, folk, Latin, jazz, and electronica. 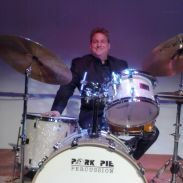 Michael Iannantuoni – Artistic Director – (drums, percussion, vocals) – Trained formally at the South Shore Conservatory, Berklee College of Music, and The Percussion Institute of Technology, he has gone on to perform with some of the most well-known musicians in the business. He’s has shared the stage with The Platters, Tavares, Little Richard, Soul City, and The Rockin’ Soul Horns as well as collaborating with such record industry successes as Steve Oliver,Tim Bogart, Jeff Berlin, Bruce Bartlett, Jimmy Herrin, Lourdes Pita, and others. Marc Leishman (guitar, vocals) – In the 30+ years of performing all over New England, this Berklee grad has appeared at virtually every well-known entertainment venue in the area. Remember the smash hit “I Only Have Eyes for You” from the 80s, by The Flamingos? Leishman actually performed with the band’s founding member for a spell. 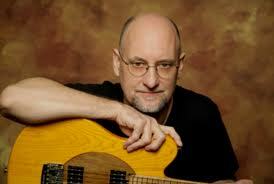 He is a specialist in blues, rock, country, pop, R&B, jazz and world fusion genres. Mark Gibson (bass, vocals) – He was originally a classical clarinetist performing with various orchestral groups before turning to the electric guitar and bass. Since then he has enjoyed 15 years experience as a local producer and recording artist. So, if you are ready to experience some of your old popular favorites from yesteryear in a whole new light with that special ethnic flair, then Island Storm is the band for you. Come on out to Johnny D’s this coming Thursday evening and see what they’re all about. 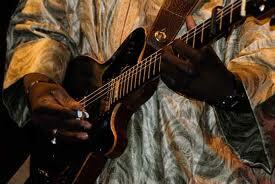 When: August 25th, Thursday @ 8:00 p.m.
Catch Some “Desert Blues” at Its Very Best as Malian Superstar Vieux Farka Toure Comes to Boston: August 24th, Wednesday @ 9:00 p.m.
Vieux Farka Toure is all the rage in his homeland of Mali and is fast becoming so on the world music scene in the international arena, as well. Hailed by many as the “North African Jimi Hendrix” Toure is currently considered to be a true leader amongst his contemporaries, both as an accomplished Afropop blues guitarist and composer, in fact, so much so that he is set to quite possibly become a virtual legend at his craft. His predominant style is actually a combination of what is known as Desert blues and rock’n roll. The magic formula behind his successful brand of Afropop relies heavily upon a steadfastness to his native Malian music roots as well as an affinity for innovative fusion techniques involving American blues elements and other contemporary African musical touches. It is with great excitement that he collaborates with the highly acclaimed alternative rock guitarist Dave Matthews on his latest release entitled The Secret. What’s more, listeners will once again be treated to the legendary sounds of the great late Ali Farka Toure (Vieux’s father, of course) throughout the recording. Toure claims that this album successfully showcases the progressiveness of his style, as the result of an especially concentrated effort on his part to really “dig deep” into the heart of firmly entrenched Malian roots music traditions while continuing to push the more modernized genre of Afropop forward. 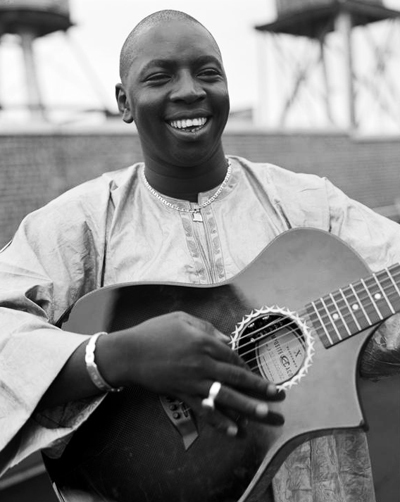 Even though Vieux Farka Toure had already been a rising star on the Afropop scene, it was his performance in front of the mega crowd in attendance at the 2010 World Cup soccer event that really sent his career soaring. Having had the grand fortune of exposure so early on to his father Ali’s blues style, Vieux quickly developed a strong basis from which to develop his very own unique version of blue’s Afropop. 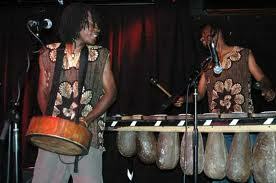 He also trained under the tutelage of the great Toumani Diabate, another strong influence, as a percussionist before turning to the guitar. Toure prides himself in being a world music diplomat of sorts, not only by successfully infusing Western music elements into his African-based sound in an effort to unite diverse cultures artistically, but also as a participant in world relief projects, such as the 2010 25th anniversary re-make of the landmark recording “We Are The World”. This concert in Boston will feature Toure on vocals and guitar along with Mamadou Sidibe on bass, and percussionist Tim Kelper. Also appearing in addition to the trio will be Outspoken and Bongo Love bringing their own special version of spoken-word poetry and Afropop from Zimbabwe to audiences as a part of their “Speak ZimLove Tour”. So, if you’re looking for an evening of fantastic Afropop, just head on out to the Brighton Music Hall on the 24th of August. 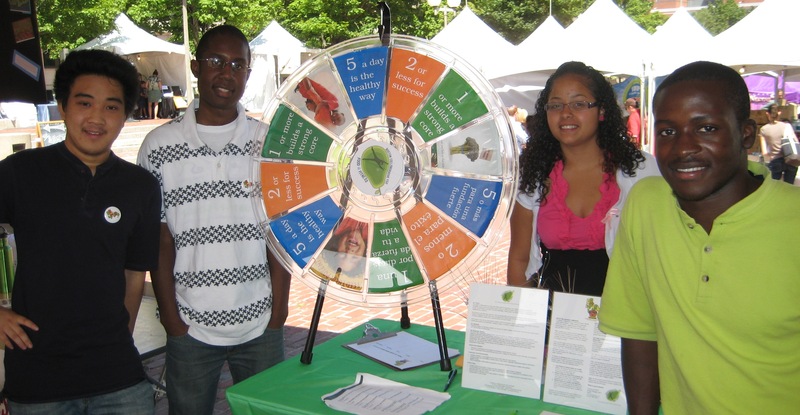 When: August 24th, Wednesday @ 9:00 p..m.
Learn how to lead a “greener” more environmentally conscious lifestyle both on a personal level and as a member of your local community at Boston’s annual GreenFest. Sonsored by the Foundaton for a Green Future, Inc. with Mayor Menino’s official stamp of approval, this event is the largest of its kind in its multicultural setting and is geared not only towards teaching the public how to live more efficiently with respect to the usage of our precious natural resources but also how to save money in the process. There’ll be all kinds of ecofriendly products, services, ideas, and info on careers and networking opportunities for festival attendees to explore in the form of workshops, interactive exhibits, demos and presetations, and even games and other kid-friendly activities. A huge highlight of the event will be, of course, the abundant live entertainment taking place continuously on three separate stages. And in keeping with the festival’s multicultural spirit, there are 20+ world music or dance acts included on the entertainment docket! Yes, world music fans. Here is a list of these participants: Gilda Betancourt (Latin pop), Alex Deros (Latin music), Esencia Latina (Latin music and dance), EcoSalsa Fashion Show (accompanied by Jambalaya (Afrobeat and Samba music and dance), Samba dancers with Jambalaya musicians on stage with Juanitio Pascual and flamenco dancers, Kina Zori (traditional and contemporary African music from Mozambique and beyond), Capoeira (Brazilian blend of martial arts, sports, and music), Chu Ling Dancers (dances of China and beyond), YMAA Kung Fu demo, Jah-Free-I (reggae), Jahora Belly Dancing, Zili Misik (world fusion), Mamadou (West African and world fusion genres), Tiz Kompa (Haitian music and dance), CV Boys (Afrobeat, Zouk, and more), Offiong Bassey (African jazz, soul, and gospel), Endangered Speeches (reggae and other world genres), Inca Son (Incan folk music and other traditional and contemporary South American genres), Felipe’s Tia (Latin), Native American drumming and dance, Balla Kouyate (West African balafon virtuoso), Los Sugar Kings (Latin & Salsa), Bajucal (Columbian folk dance), Pana (Latin pop/rock), Flamenco Dance Project, Nia (martial arts blended with various dance and exercise movements), and a Bharatnatyam Dancer (classical art form of Southern India). 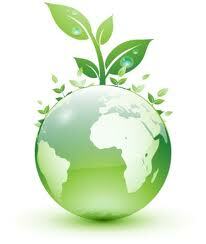 Check out the GreenFest official web site for more details on event happenings. Now here’s your big chance to find out more on just what greener living is all about. 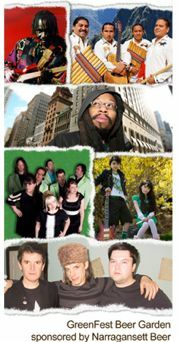 And, as always,whenever you have a large number of world music and dance acts showcased in one convenient location at around the same time, therein lies a fantastic opportunity to discover some new favorites to add to your global entertainment list.